Blurb Description: Vicky Decker has perfected the art of hiding in plain sight, quietly navigating the halls of her high school undetected except by her best (and only) friend, Jenna. But when Jenna moves away, Vicky’s isolation becomes unbearable. I have highly mixed thoughts about this book. While I loved it and I just wanted to get inside and give our main character, Vicki Decker, a hug I also felt like the ending gave the impression that mental illness like Social Anxiety was curable with the right friends and boyfriend, and it ISN’T. So while the book was EASY and FUN to read and had a lot of important messages, I feel like the most important message of ALL – awareness and understanding of Social Anxiety - was glossed over and I CAN ONLY WISH IT WASN’T. I’ve been holding onto this GORGEOUS hardcover that Harper Collins sent me and I just wanted to shout out a HUGE thank you their way for giving me the chance to read this book. 1. VICURIOUS AND ALL IT STOOD FOR: We live in an Instagram age. You probably have an Instagram account (or two, or three), discuss in GREAT DETAIL what someone else posts on theirs. Instagram is Huge. Vicurious is out protagonist, Vicky Decker’s Instagram account where she photoshops a girl with purple and orange hair into the most ridiculous photos. And while Vicurious initially started off as something else, it turned into a safe spot for anyone feeling alone in the world to be seen, and I loved it. 2. THE ACTUALLY NICE HIGH SCHOOL PEOPLE: If you watch an American movie, TV show or read a book set in a US high school, you’ll know that the “Mean Girls” are almost always prominently featured or at the very least, mentioned twice. Which was why How To Disappear made for SUCH a welcome CHANGE with genuinely nice popular people, all portrayed as people who had problems regardless of how ‘perfect’ their lives looked on the outside. 1. THE ‘CURABILITY’ OF SOCIAL ANXIETY: While it wasn’t mentioned in those exact terms, as I reached the end of the book, I couldn’t shake the feeling that there was something CURABLE in the way social anxiety was being portrayed with Vicki suddenly having all her friends and her trouble saying ‘hi’ to someone in the hallways VANISHED. It seemed like an unrealistic portrayal and I WISH IT WASN’T SO. 2. WHAT ARE BEST FRIENDS, REALLY? Honestly, if a book claims that one character and another are best friends, I expect that bond to be something REAL. I’ve had two best friends for the better part of my entire life and friendships mean something to me, and this book totally ruined that for me. If you’ve seen me on Twitter, I’m always talking about how much I miss the best friend that left home and well, How to Disappear had the worst kind of best friendship. All it took was ONE SINGLE (horrible) comment and then their whole friendship disintegrated and IT MADE NO SENSE TO ME AT ALL, because FRIENDSHIP DOESN’T WORK THAT WAY. 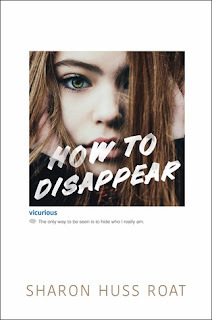 While there were SO MANY good things about How to Disappear, including some great characters and using social media in an actually positive way, it could also have been SO MUCH BETTER. 3 stars. Sharon Huss Roat grew up in Lancaster County, Pa., and now lives in Delaware with her husband and two children. 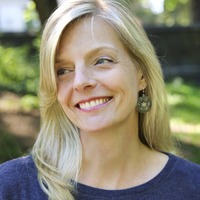 She is the author of HarperTeen novels BETWEEN THE NOTES (June 2015) and HOW TO DISAPPEAR (August 2017). Visit her online at www.sharonroat.com, on Twitter @sharonwrote, or Instagram @sharonhussroat. What are some of the best books on mental health that you've read? Have you had the chance to read How to Disappear? What did you think of it?